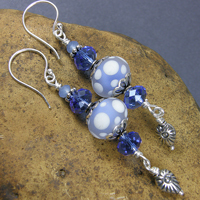 Beautiful pairs of earrings - handcrafted and suitable for all budgets - can be found in this section. 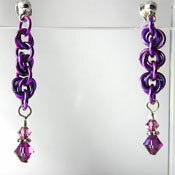 Chainmaille, lampwork, sterling silver, crystal, semi-precious gemstone, wire - I'm sure you'll find something you like. Please click on the individual pictures for a comprehensive description of each item. Enjoy.